You might have heard of a little place in Australia that goes by the name of Bondi Beach, well known for its laid back lifestyle and surfer-ready waves. 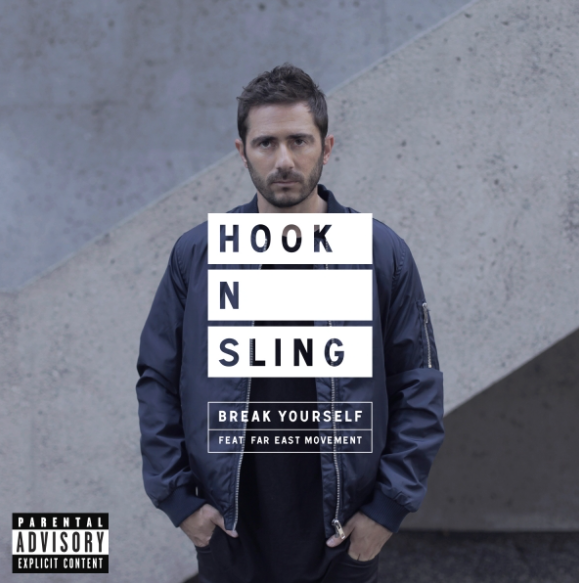 But there’s something else this coastal hangout is recognised for producing – and that’s possibly one of Australia’s most promising DJ/producers, Hook N Sling. Hook N Sling’s ascent has been single-mindedly driven, and backed by decent productions. Tracks like 'Take You Higher' (with Goodwill) and 'Reason' (with NERVO) attest to it, clocking over 10m combined YouTube views and winning Hook the support of Tiësto, Sander van Doorn and Nicky Romero to name a few. As have his remixes for artists like Calvin Harris, Miike Snow, Wolfgang Gartner, Krewella and Kaskade, and his re-imaginations for compatriots Miami Horror and The Presets. His recent single, 'Magnet', with long-time David Guetta collaborator, Chris Willis, is a track that exemplifies his own brand of music with dancefloor precision, artistic substance and mass appeal. And his forthcoming collaboration with Empire of the Sun, 'Celebrate', shows his pursuit of future sounds. In the near future, look forward to collaborations with vocalist RAS, and Axwell with 'Tokyo By Night'. Look out for his latest track on Insomniac Records, ‘Break Yourself’.